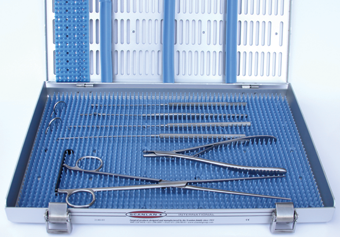 Since 1921, Scanlan has been at the forefront of instrument innovation to provide the highest quality instruments for use in evolving surgical procedures and techniques. 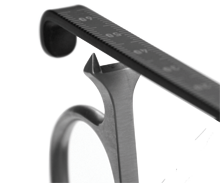 Scanlan has continued this tradition of innovation with the development of the SCANLAN Caliper and MEMORY Instruments. ・Individually handcrafted by skilled artisans to provide a superior degree of tactile feel, balance and performance. 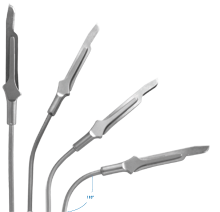 ・Made from the highest quality stainless steel and nitinol to provide long-lasting, corrosion-resistant surgical instruments. 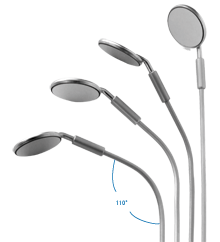 ・Backed by the SCANLAN 10-year Warranty against manufacturing and material defects. SCANLAN MEMORY Instruments are a unique hybrid instrument design of nitinol and stainless steel. 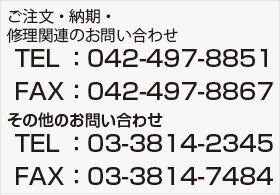 Nitinol is a metal alloy which is flexible and has shape memory. This means that when exposed to high temperatures, the nitinol portion of an instrument will return to the original shape. Stainless steel is used for the handles of the SCANLAN MEMORY Instruments to provide a sturdy, secure, non-flex grip. 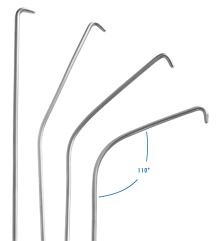 The straight shafts of the SCANLAN MEMORY instruments can be easily customized into a variety of curved shapes during the procedure to best fit the patient’s anatomy. After the procedure is complete, the straight shaft of the SCANLAN MEMORY instrument is returned to its original straight shape when exposed to steam sterilization. Curving the straight shaft of the SCANLAN MEMORY instrument more than 110° may result in the inability of the shaft to return to a completely straight shape when exposed to steam sterilization. The Knife Bending and Blade Tool should be used whenever bending the nitinol portion of the SCANLAN MEMORY Knife Handle. The Knife Bending and Blade Tool should be used whenever attaching or removing a blade from the SCANLAN MEMORY Knife Handle.